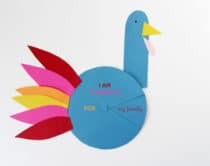 My daughter just learned how to read and I’ve realized the importance of setting out a space dedicated to doing just that. 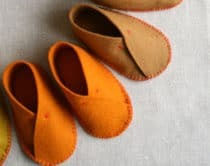 Giving your child a comfortable and cozy place to read is a great way to encourage them getting lost in thought and sinking into a good story. Good light is important. Books of course and accessibility. And of course great light! 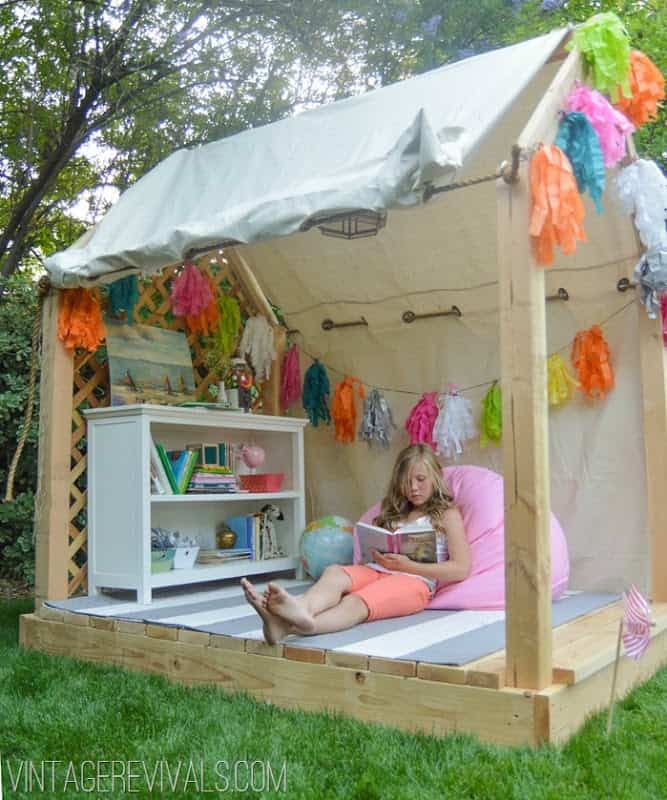 Cushions, pillows, canopies, and tents all contribute to a comfortable reading spot. 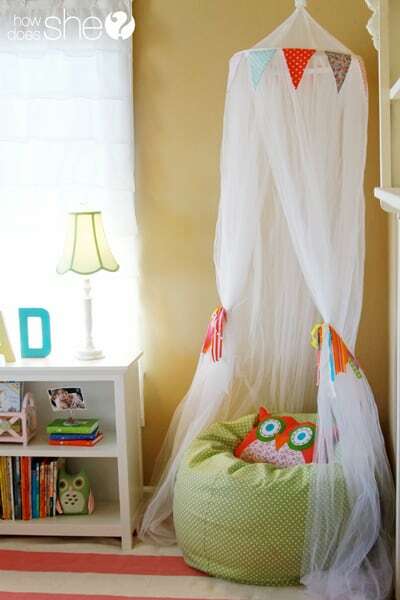 Different colors, fabrics and patterns can make your reading nook become a stand out piece in your child’s room decor. 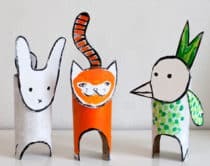 The most important thing is to have fun, get your child’s input and scatter those books around to get them excited about reading! 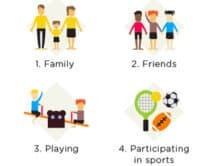 Take a look at these inspiring examples to get you started. 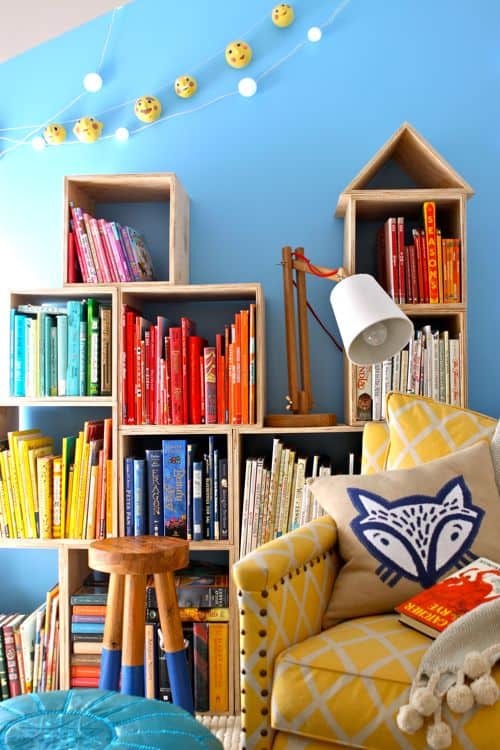 Reading Loft (via Design Mom) So many thoughtful element are sprinkled throughout here like the bright comfortable chair, color coordinated books and DIY plywood box shelves. 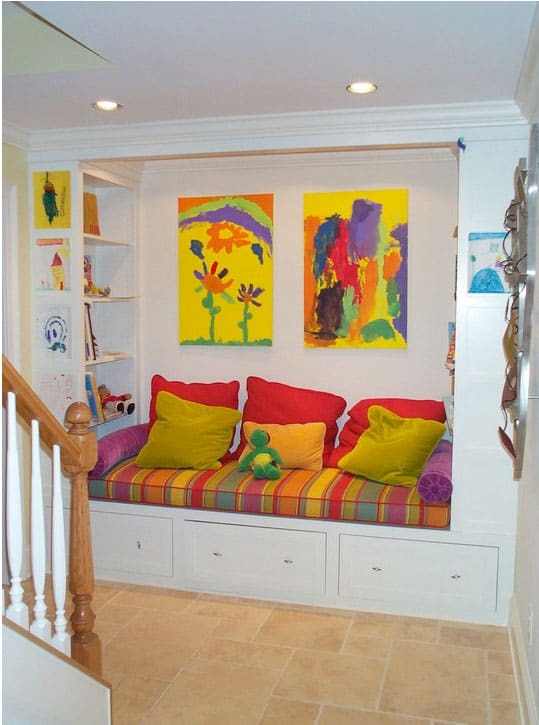 Bench Reading Nook (via Houzz) This is a great example of how to turn a sitting bench into a nook for reading. Love the colorful art and cushions to make it pop. Curved Bookcase (via Houzz) The impressive curved bookcase and circular seating cushion gives this reading nook a bit of dramatic flair. Closet Nook (via Dos Family) No space for a reading nook? No problem. 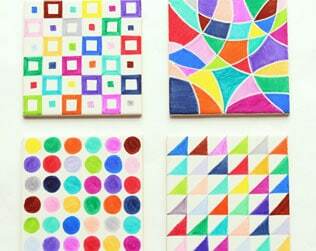 Turn a small closet and go vertical as shown in this clever step-by-step tutorial. Indoor treehouse (via Bla Fre) Tree houses aren’t just for the outdoors. 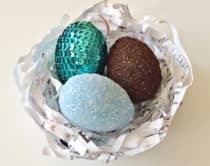 Make a cozy indoor tree house that doubles as a private reading space. 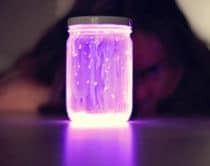 Outdoor Hideaway (via Vintage Revivals) This amazing DIY outdoor hideaway is a kid’s summer dream. Open, airy and totally inspiring to lay on for some fun reading. 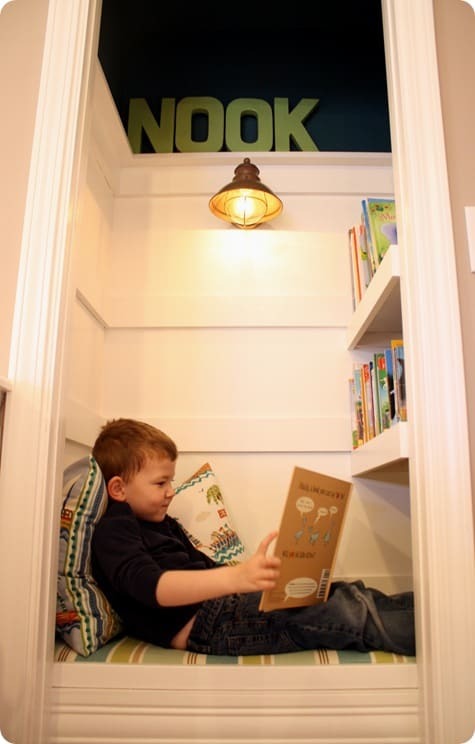 Tiny Book Nook (via Thrifty Decor Chick) Another clever closet turned reading nook makeover. 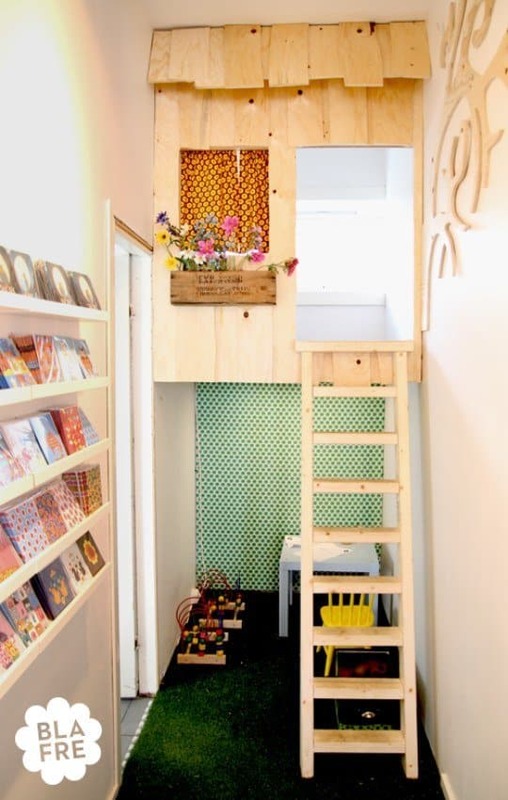 Add a seat cushion and some shelves and you’ve got yourself one cool little book nook. 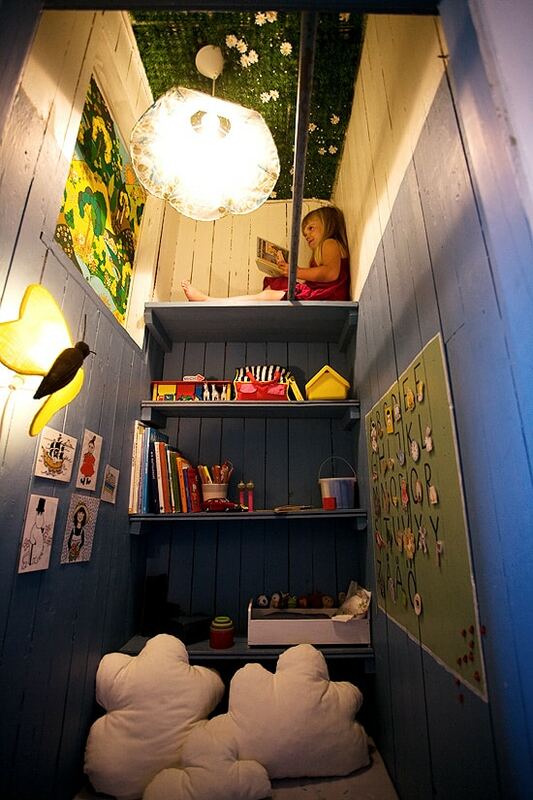 Mattress Nook (via Houzz) A reading nook doesn’t have to be super fancy. 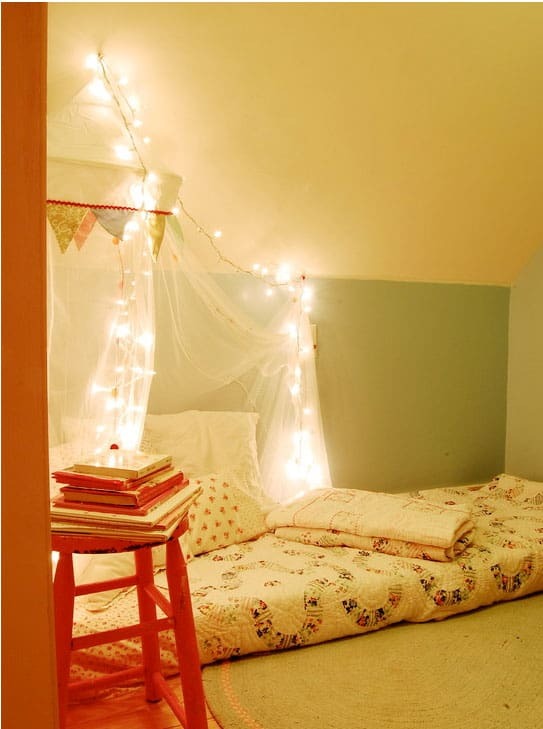 Lay a mattress down, add a canopy and some pretty string lights and you’ve got a cozy little space all set up for some good reads. 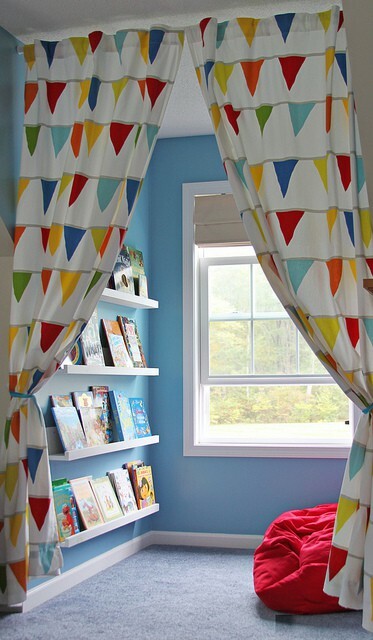 Curtained Off Nook (via These Moments of Mine) Bright colorful curtains are a great way to section off a part of a room and turn it into a dedicated reading space filled with shelves of books. 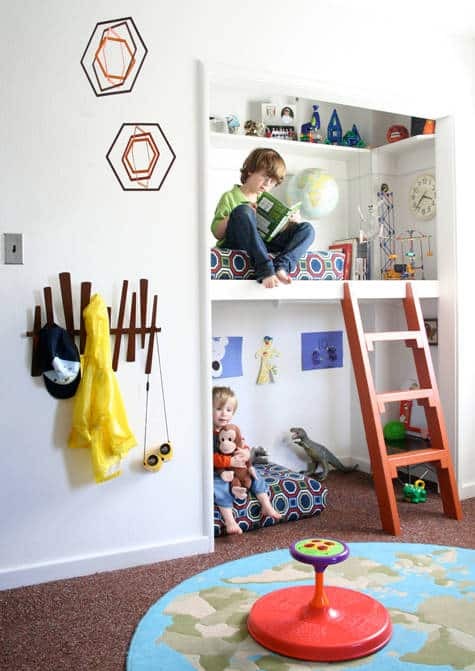 Two Level Closet Nook (via Design Sponge) Here’s a clever way to turn another closet into a reading nook, except instead of going long and vertical, you’ve got two bisected spaces, perfect for siblings. Canopy Nook (via How Does She) A cute canopy and soft cushion are the starting blocks for this adorable and simple little reading nook. Bookcase Nook (Dwell) This is so much fun. 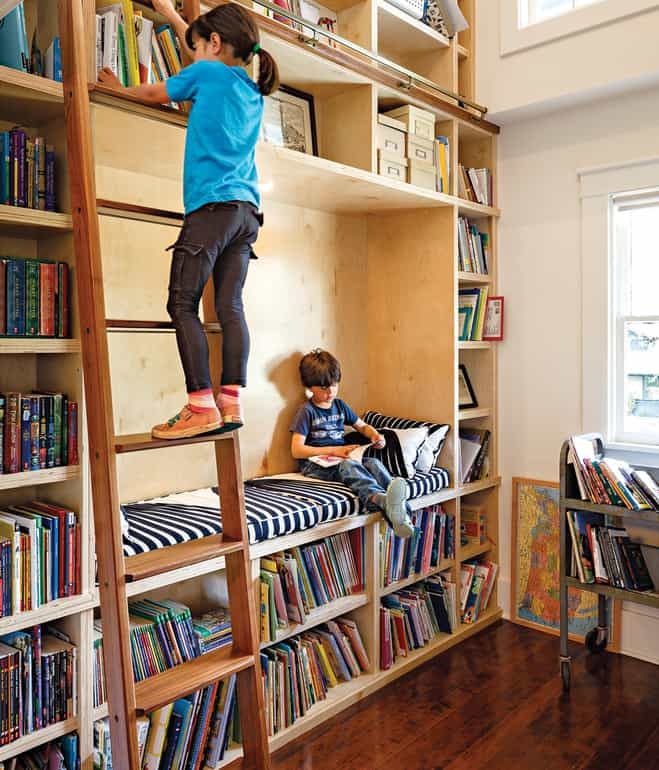 Why not integrate the reading nook right into the bookcase itself? Rain Gutter Book Shelves (via Sunshine On The Inside) This inventive mom uses inexpensive rain gutters for shelves! 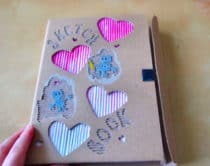 A low-cost and easy way to create lots of space for books. 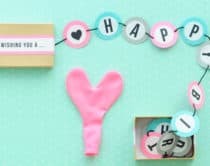 No Sew Teepee (via The Handmade Home) It’s hard to believe this amazing teepee requires no sewing. 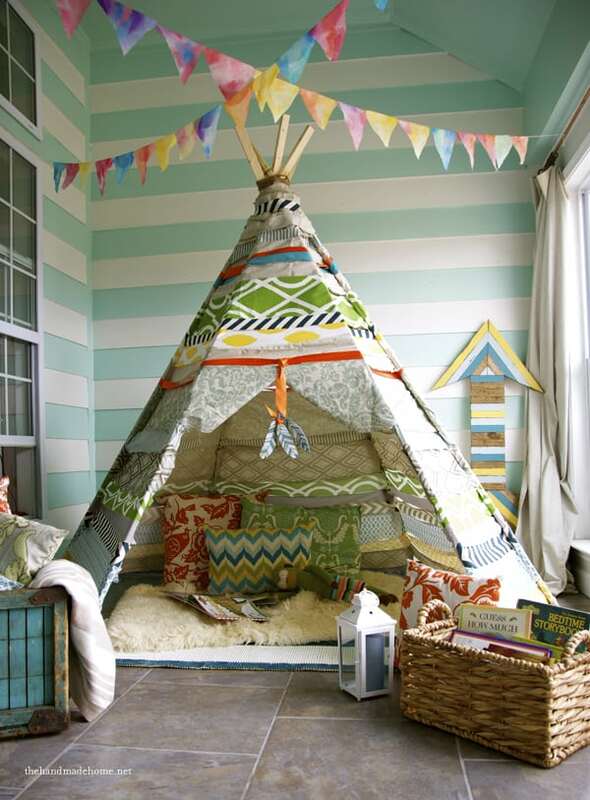 A teepee makes a great dedicated enclosed space for reading and lounging. 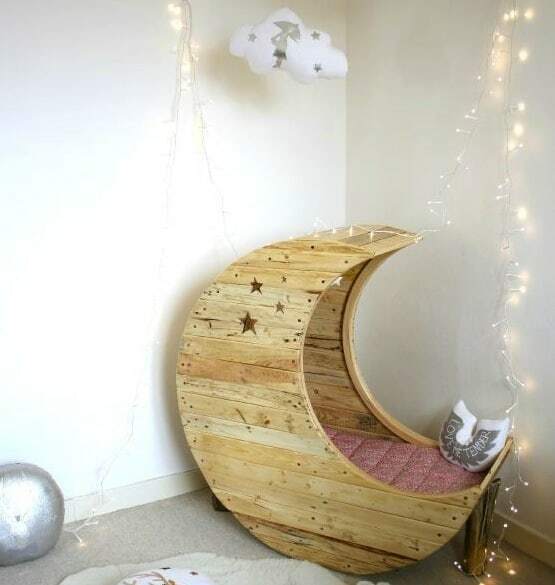 Moon Cradle (via Creme Anglaise) Designed by French company, Creme Anglaise, this moon shaped cradle is actually a sleeping cradle for baby, but I can see it being used as the most comfortable and magical space for reading.